Shermans Travel | New Waldorf Astoria iPhone App: How Does it Compare? New Waldorf Astoria iPhone App: How Does it Compare? Last week, Waldorf Astoria became the latest hotel chain to roll out an iPhone app so guests can browse properties and book a room on the go. This somewhat belatedly follows the launch of apps for fellow Hilton brands Hilton, Embassy Suites, Doubletree, Hampton, and Hilton Garden Tree last November. Waldorf’s app is fairly simple, providing a brief summary and half a dozen photos for each of their 22 hotels. Users can also call the hotel or book directly through the app. While Waldorf’s app performs what it sets out to do, it’s a bit basic compared to the new media savvy of the Kimpton app (launched last month), which allows you to find hotels and restaurants by location via Google maps and provides links to each property’s website and Facebook page, as well as the brand’s Twitter account. At the same time, however, you can’t book a stay at a Kimpton hotel directly from the app – you have to call the reservation line. Four Seasons pulls out a few tricks on its own in its app (launched October 2009) with hotel “video tours” (more accurately photo montages set to music) and the ability to browse spa treatments before booking over the phone. The app lacks basic information about each hotel, but instead links to the general brand website if you want to find out more. It also sends you through to the website to book a room after first checking availability through the app (there’s the option to call for reservations, too). All of the above apps are available free from the iTunes store. 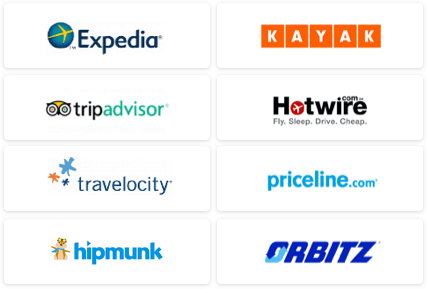 Notably absent from the app world, except for a few individual properties, are Hyatt, InterContinental and the rest of the IHG family, and the entire Starwood collection (which includes brands like W, St. Regis, and Sheraton). I don’t know that I would use these apps on a regular basis, but they could be useful if you were stranded or otherwise needed a last-minute booking. On the other hand, the Hilton family of hotels has seen a nearly 300 percent increase in mobile bookings in the first half of 2010. ShermansTravel.com readers: Would you make a hotel reservation with your phone? 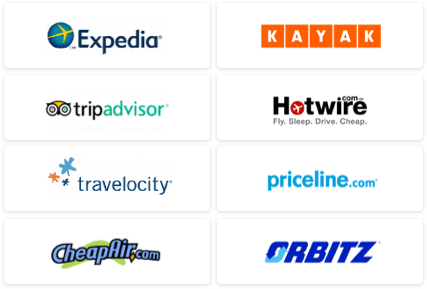 Another option: Use our Travel Search price comparison tool to find great deals on hotels and more.